in the Lone Star State! We've had strong storms this week. Welcome to Texas in the springtime! I took a walk in my garden. Camellia all in red and blooming gorgeous! They've been blooming since February. Violas and rosemary all in bloom. Gardenia's in white and dark green leaves. Day-lilies popped up through the ground and thriving. Berries on the trees in brilliant red. The birds are very happy munching away in the trees. The ferns made it through the winter over the pool shed! Carolina Jasmine sunny and bright in yellow. A few first pink roses. Are you seeing signs of springtime? 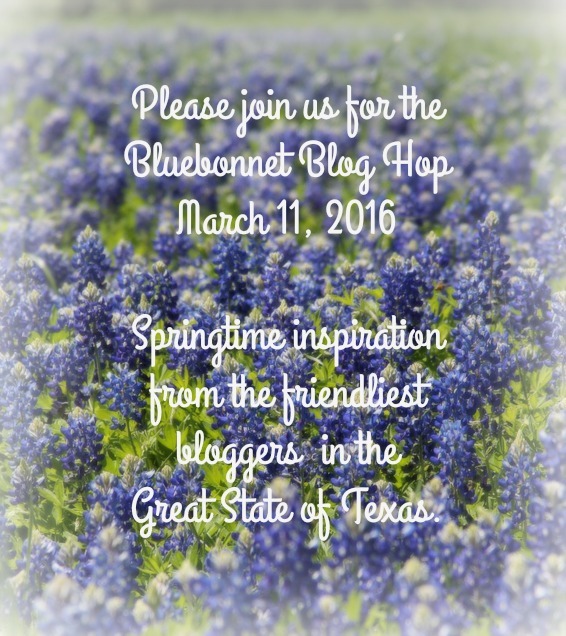 Be sure and stop by the blog hop from Texas tomorrow.